This week we have been sharing our recent interest projects. It has been wonderful seeing our peers taking the stage, putting the focus on them and their learning. The main idea behind sharing our interest projects is to celebrate our efforts, identifying highlights, and giving and receiving valuable feedback in order to set new goals for ourselves. Interest projects can be testing for students. We really need to show that we are developing important skills and attitudes in the areas of organisation and time management, as well as general research abilities. How we use the time that we are allocated in class for these projects, called IP workshops, is one of the areas of evaluation at the end of each interest project cycle. The end products are not the only important thing, the process is also significant. Jesse said "Sharing was good. When I saw others doing it, I was not as nervous. I really felt excited and wanted to go up. I feel pretty good about my next interest projects. I learned that I can get up in front of people and not have a big shock. Overall I feel proud of myself". 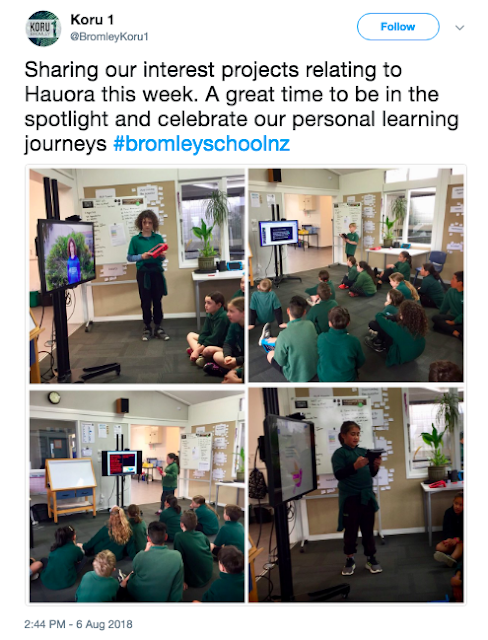 Quinn said that when sharing he "... Had a good feeling because I knew that others didn't know much about my topic, so I was providing them with personal information. I think next time I would practice my speech a bit more, but overall I think it was pretty good for my IP that I've done at school". See our individual blogs for our IP evaluations and links to the media many of us created. 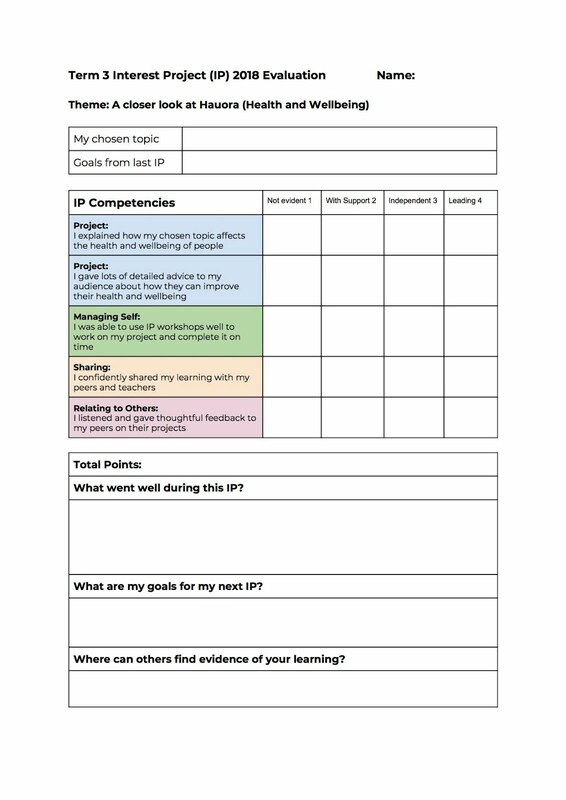 The evaluation template we each completed is shown below. You can see the particular areas of focus for these projects.